Michael Jordan left the NBA in October of 1993 to take a break from the pressures of fame and competition to try his luck at baseball. He decided to return in March of 1995 — at Market Square Arena against the Pacers, it so happened. With just 24 hours notice, the news landed like a grenade. The game was going to be big enough on its own. The Pacers were 39-24, unknowingly headed for another run to the Eastern Conference finals. 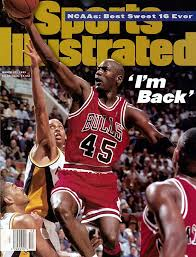 Chicago was just 34-32, but still carried an aura from winning three consecutive NBA championships from 1991-93. NBC was in town to broadcast the game nationally on a Sunday afternoon from a sold-out Market Square Arena.